Welcome to Feeling Good NB. I hope you come back often to hear great things about our lovely Province. I am a proud New Brunswicker and with the exception of the First Nations, my family is one of the longest standing New Brunswick families dating back to 1766. We will talk a lot about physical activity and sport but hopefully much more than that, there is so much to do and see in NB!! Looking forward to this new website! 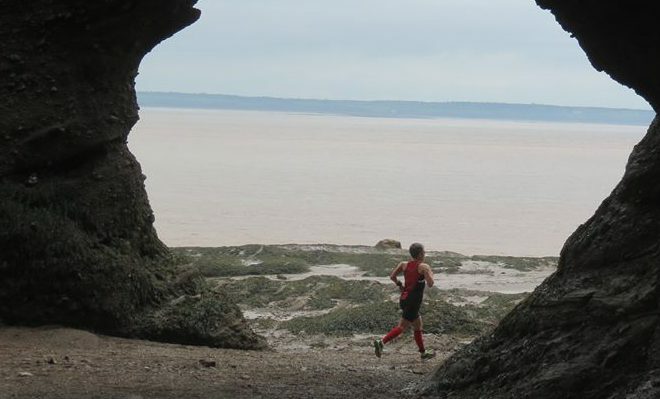 Whether you knew it or not, that’s me in the photo running through the arches in the rocks. I feel honoured I am in the picture on your website! I did know, I like to class up the site with the best of New Brunswick, and that certainly counts you. I love the shot! !